It’s interesting when you find so much talent in one human being. Someone who can act, sing, dance and speak several languages, along with being highly educated and quite beautiful is almost too much to ask for. However, Ximena Casillas (pronounced: Hee-men-uh) seems to have all these attributes and more. She was born in Mexico City and started taking ballet lessons at the age of two. She then developed an interest in musical theatre when she saw the Broadway production of Beauty and the Beast performed in Mexico City. She knew almost immediately that she was going to become an actress, and that’s exactly what she set out to do. She was cast in almost every school production, from Grease and Annie to Hercules. She attended musical theatre summer camps and then in her early teens she enrolled in Artestudio, which is one of the pre-eminent musical theatre schools and companies in all of Mexico. In Artestudio, Ximena performed in The Lion King, Mulan, The Little Mermaid, The Hunchback of Notre Dame and Cats. She also studied Jazz, ballet, acting and voice there. Ximena was drawn to New York when she was seventeen and joined the AMDA, the American Musical and Dramatic Academy and graduated in 2013. Right after that she moved to the west coast to continue her studies at AMDA College and Conservatory of the Performing Arts in Los Angeles. Amazingly, Ximena got her BFA from AMDA in 2014 at the age of 20. Since graduating she has been featured in several short films such as, “It’s Time, “Red Halloween” and “Outsider.” Besides being cast in two feature films this summer: “The Long Way” and “The Life, the Jorney, the Struggle.” Ximena is also featured in the play, The Gypsy Machine, the short film “Skye” and the mini series “Foreign Love.” She believes that training and hard work are necessary in order to get started in this very difficult business. They are two of the important elements that actors and all artists and entertainers need to have if they want to constantly move forward. Ximena is continually honing her acting techniques and her stage and movie skills such as learning new dialects, sword fighting, hand to hand combat, improvisation and just about every and any type of skill her future characters might need to be more fully drawn. 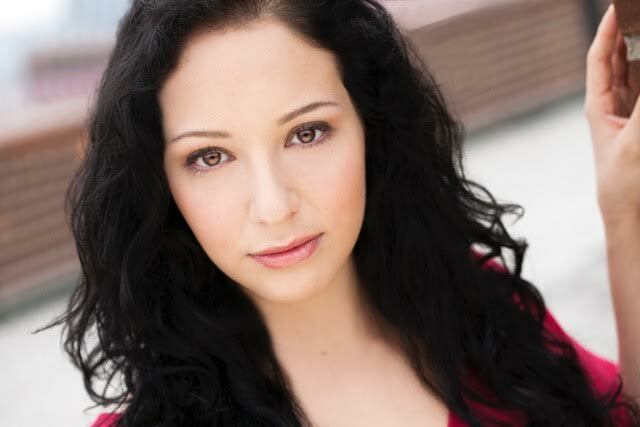 Ximena has studied acting with Anthony Mark Barrow, Dan Daily, Jason Chaet and Ray O. Virta.